Our aim is to offer a trusted and friendly electrical service to the home owners in Sea Point. We’re dedicated to assisting the Atlantic Seaboard together with our services for all your electrical needs. All our jobs are over and done with the utmost attention because we are a family run firm. No matter how small or big the task, we constantly perform the job ourselves and don’t subcontract other electrical contractors. Our primary emphasis is satisfying you and your task matters to us and also our firm. Let us offer you a friendly local community service that you are welcome to call us at any time even if its only for assistance. 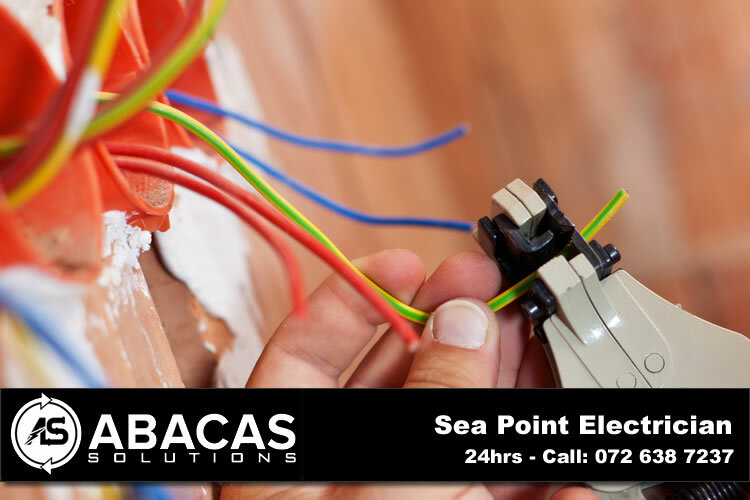 Call Abacas Solutions Twenty-four hours a day, the friendly competent electrician in Sea Point, Cape Town. Whatever your need, just let our licensed, qualified and experienced experts deal with your company or residential electric repairs. Abacas Solutions in Sea Point is the best dependable electrical contractor. Our company’s rates are competitive regardless of whether you will need installments (e.g. Outdoor lighting) or fixes. With around 20 years’ experience being an electrical contractor, Abacas Solutions is devoted to supplying an all-inclusive home-based, commercial and industrial electrical service to all residents within Cape Town. With our main focus on client satisfaction, safety and reliability, Abacas Solutions can provide you with licensed electricians who ensure your repair or any installment is of the finest standard.